It’s fast become my favourite weekend of the season. The Pacific Island nations get to go around again, while Denver gets its first Test and the women’s State of Origin lights up. 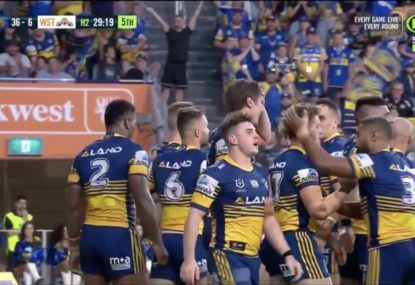 Our NRL expert tipping panel are here to tell you who is going to win each game across representative round. Now, a public service announcement before we go any further. State of Origin tips will be published on Sunday morning in its own separate article ahead of the stand-alone fixture. 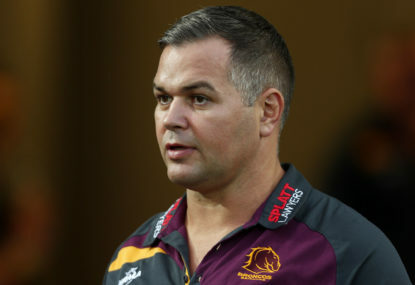 This article will solely focus on women’s Origin, the two Pacific Tests on Saturday, England versus New Zealand on Sunday morning and the New South Wales Cup versus Queensland Cup fixture (also known as the Residents game) at Homebush on Sunday afternoon. We also have a change in roster for this article, with long-time Roar live blogger and rugby league fanatic Riley Pettigrew making a guest appearance for Tom Rock, who will be back with us on Sunday. As we full well know, these matches are absolute crackers. The Pacific games at Campbelltown will be played with passion and ferocity, while the match in Denver is a great chance to really ramp up expansion into the United States of America. The women’s Origin is also a giant leap forward, with the game played as a stand-alone fixture at North Sydney Oval for the first time, while the residents game gives us a chance to recognise the best talents on the fringe of the NRL. Obviously, this weekend won’t count towards overall season totals, but it’s still a chance for us to work on our (somewhat lacking) tipping strategies, isn’t it? As always, don’t forget to submit your tips on the form below by 3pm (AEST) tomorrow afternoon (ahead of the women’s Origin match) to be part of The Crowd as you take on the experts. We will hand it over to Riley to get us going this week. I am extremely excited to be attending North Sydney Oval for what shapes to be a close match between two fierce rivals. Both teams are well-matched on paper with the key battle between Maddie Studdon and Ali Brigginshaw although New South Wales have the slight upper-hand with the likes of Elianna Walton, Simaima Taufa and Kezie Apps up front as well as Sam Bremner, Corban McGregor and Isabelle Kelly in the backs. Expect the Blues to come home strong in a very tight battle. There has been lots of controversy in the Fiji camp and the decision to start Jarryd Hayne at halfback and move Henry Raiwalui to five-eighth is an interesting one. 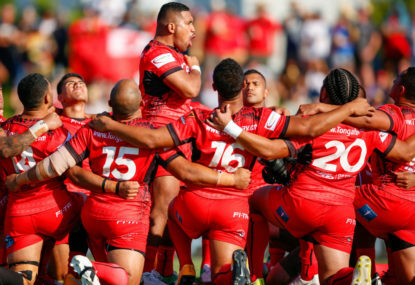 While Fiji have plenty of NRL experience, Papua New Guinea make for it with plenty of pride and passion. Their forward pack will be bruising in the middle of the park, and despite the Hunters struggling in the Intrust Super Cup, the likes of James Segeyaro, Justin Olam, Lachlan Lam and Rhyse Martin will provide the spark to get the Kumuls over the line. Tonga have a slew of stars across the park that will be hard to beat. While Samoa have been boosted by the return of Anthony Milford, their Pacific rivals look much stronger and should dominate after a sensational performance at the 2017 World Cup. Expect Mate Ma’a to dominate through the middle of the park with plenty of fierce battles across the park. England have the opportunity to take the world No.2 ranking from New Zealand. 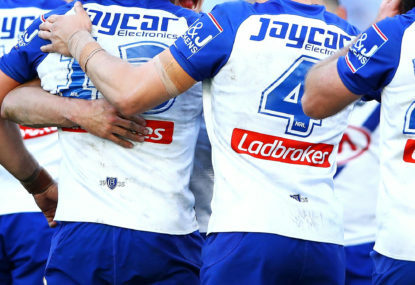 They have NRL stars James Graham, Elliott Whitehead, Gareth Widdop, Sam Burgess and George Burgess who will all provide a helpful boost alongside their Super League contingent. New Zealand are severely weakened with no Tuivasa-Sheck or Shaun Johnson. 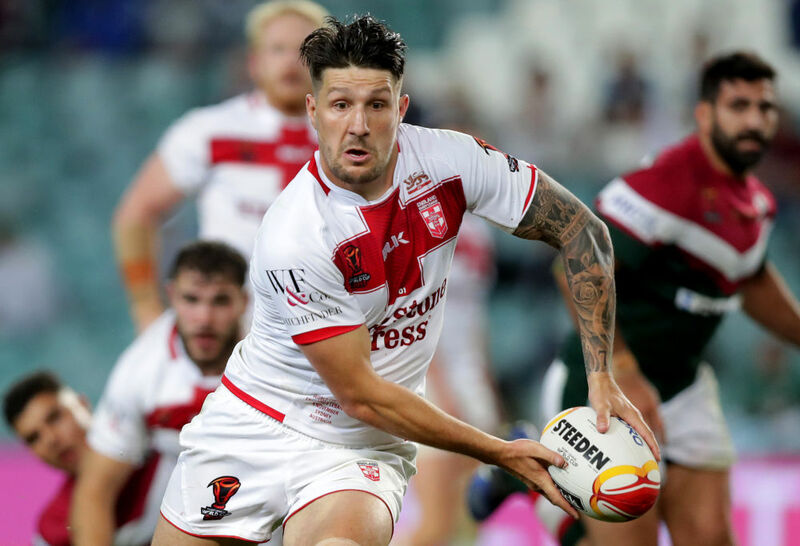 The English should get an easy win with Widdop to lead the way however, it will be hard to tell with both sides travelling across the world to break new ground in the USA. 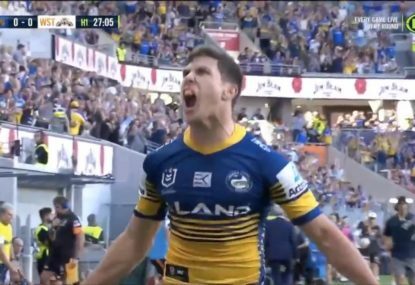 Boosted by the next generation of NRL stars, NSW Residents look the goods to get one over their rivals. It will be Kyle Flanagan’s big chance to show off his talent, partnering with the Roosters’ Sean O’Sullivan. While NSW lack size in the pack, they are quick and agile, and will look to beat Queensland on the edges. What a weekend we have ahead. The NSW Women should make history in the first Origin match, taking full advantage of their home ground advantage to touch up the Queenslanders, even without the great Ruan Sims. On paper, the Pacific Tests start with Fiji as the better side. But paper doesn’t play football and I like the cut of the Kumul’s job. I reckon they play well as a team and should get the job done. Out experience of Tonga and Samoa completely failed to achieve the heights we had hoped for pre World Cup. Tonga excelled and exceeded the hype. The Samoans had a party instead and only went past the group stage ahead a far more deserving Ireland because of a bizarre rule. Tonga means business and will clean up the Samoans. The poor old Kiwis are going to be miles below strength in Denver and will really struggle to match the Poms. It might not be pretty but Bennett’s boys will get the job done in Denver. And finally – I can’t split the residents so I’m going to go with New South Wales to beat the Maroons. Here’s to a weekend sweep. How good is rep week? Quality games, praying your club’s player gets through unscathed, the women’s game finally gets the coverage it deserves and a giant step is made in the USA. The women’s matchup on Friday night is a landmark for all the good reasons – live free to air coverage, great press beforehand, an accessible location and a stand-alone time that puts the best of the best on display. Put your cynical hat away here – this will be great to watch and will inspire a whole new generation of players and spectators. I’m taking an upset with Queensland getting the win even though there’s plenty of speed in the NSW backs. The heat will most certainly be on Meg Ward and co. to keep things under control out wide. Now to the big doubleheader in Campbelltown, probably the most inappropriate venue for these games you could ask for. Fiji and Papua New Guinea kick things off on with the real shame being Mr Boombastic, Mikaele Ravalawa named as a reserve for the Kumuls. The Bati have named Jarryd Hayne at halfback, where he may well become the first number 7 to complete a game without throwing a pass. Keep an eye out for Sitiveni Moceidreke (Fiji) and Lachlan Lam (PNG), two up and coming players who are working their way through the NRL system with the Raiders and Roosters respectively. Fiji win, But it’ll be tight. Everyone’s second favourite team Tonga then take on their sworn enemies Samoa. If you’re going to watch anything this weekend, watch the war cries pre-match. 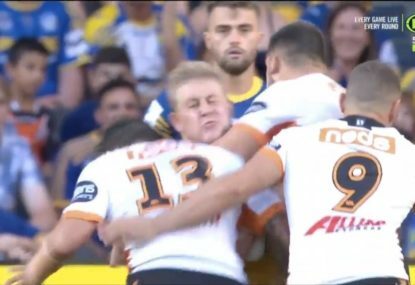 It’s one of the best things in rugby league. Mate Ma’a Tonga left a huge impression during the world cup, robbed of a spot in the final but announcing themselves on the world stage. But Samoa surely want to leave a better impression than they did on their pizza and beer tour of last year’s world cup. Both sides are brimming with sensational talent and this will be a belter. I think Toa Samoa in a mild upset. It’s telling that the NRL haven’t bothered to include much coverage of England and New Zealand’s USA matchup in Denver. They don’t want anything to do with this one for a multitude of reasons but others do – a crowd of 20,000 is being talked up and for me, that’s sensational news. The USA is a market absolutely critical to the future of rugby league. Who wins? It’ll be England. New Zealand are too light on following a swathe of withdrawals. Now for some honesty – I don’t know a thing about the NSW Residents or QLD Residents sides. What I do know is that the term ‘resident’ doesn’t apply further up the chain. I’ll watch this one because I need to learn more and I’m sure the NSWRL website is a more reliable streaming option than Optus. I recognise more names in the Queensland team than the New South Wales one, so they’ll win. Up until now, I haven’t had a chance to get out to any Pacific Tests, but you better believe Campbelltown is my number one priority on Saturday afternoon. I absolutely can’t wait to get out there and amongst what should be a cracking atmosphere. Away from my weekend though, I’m going to take New South Wales to get the job done in the historic stand-alone women’s Origin. The match itself should be an absolute belter, but with a spine featuring Sam Bremner, Lavina O’Mealey, Maddie Studdon and Rebecca Riley, it’s hard to see how Queensland compete with Kezie Apps leading the way in the pack. Anyway, this Fiji versus Papua New Guinea match is a tough one to decide. 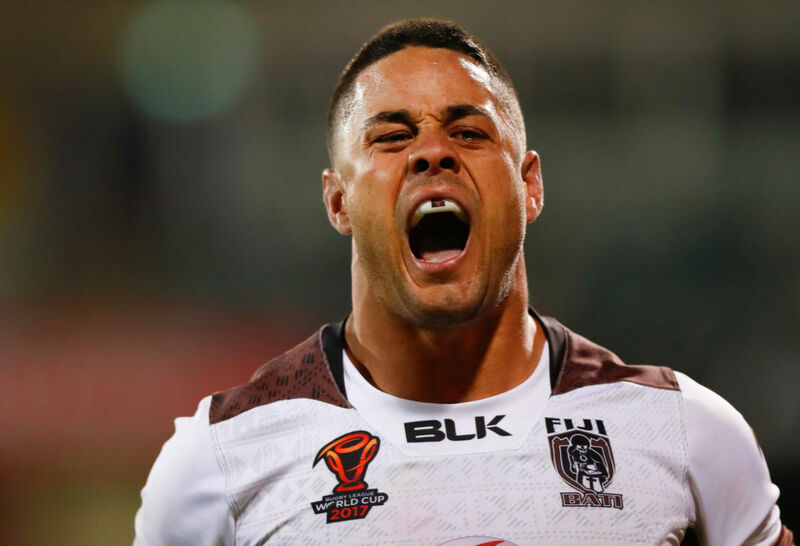 Australia’s closest neighbours should have some continuity in their side after the Queensland Cup exploits, but then, Fiji have players like Jarryd Hayne, Kevin Naiqama, Suliasi Vunivalu and Kane Evans up front, so I’ll take them. Tonga put on a really strong showing at the Rugby League World Cup in 2017 and with most of their players returning – including the big forward duo of Andrew Fifita and Jason Taumalolo – they should get the job done against Samoa. Whatever the results of these two matches, you can bet your bottom dollar all four teams will play out of their skin representing the national teams, as they always do. 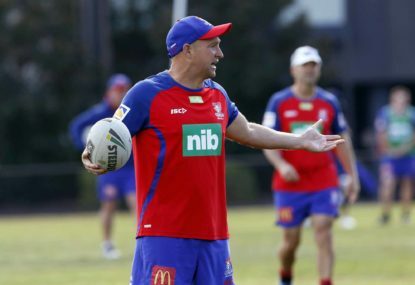 New Zealand have had a heap of withdrawals ahead of their trip to Denver and with what will be a more or less second string spine, Wayne Bennett’s English side – complete with Gareth Widdop, James Graham and Slammin’ Sam Burgess should be too strong. The residents game is always a good’un as well. A mix of youth and experience, journeymen and the future. In particular, watch out for the future of Cronulla Kyle Flanagan along with Aaron Gray, Tony Satini, Scott Sorensen and Suaia Matagi on the New South Wales side of the coin. Up north, Scott Drinkwater, Jonus Pearson and Patrick Mago lead the charge. I’m sticking with NSW though.